The E-Spot FireBox has all the features of the Streamlight Litebox with the addition of two rear blue LEDs so you can be seen from behind. 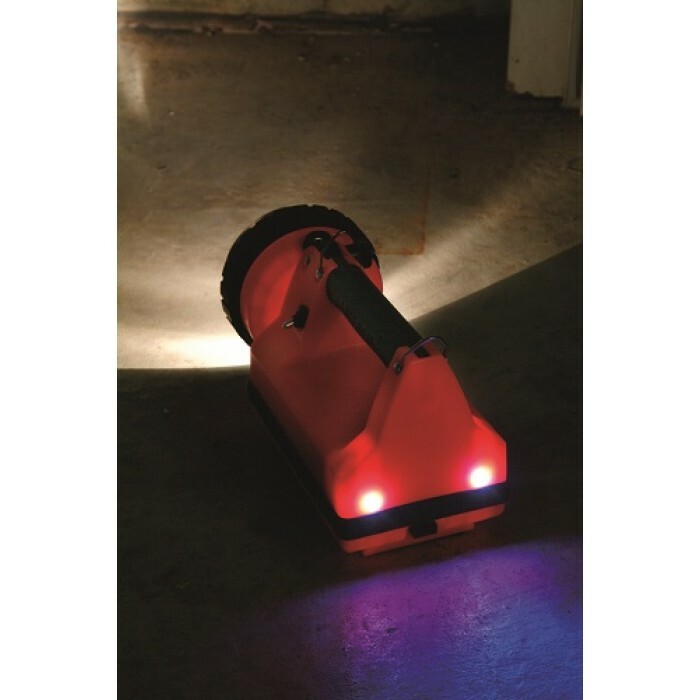 Three LEDs spotlight an area with focused bright light so you can search or inspect from a distance. 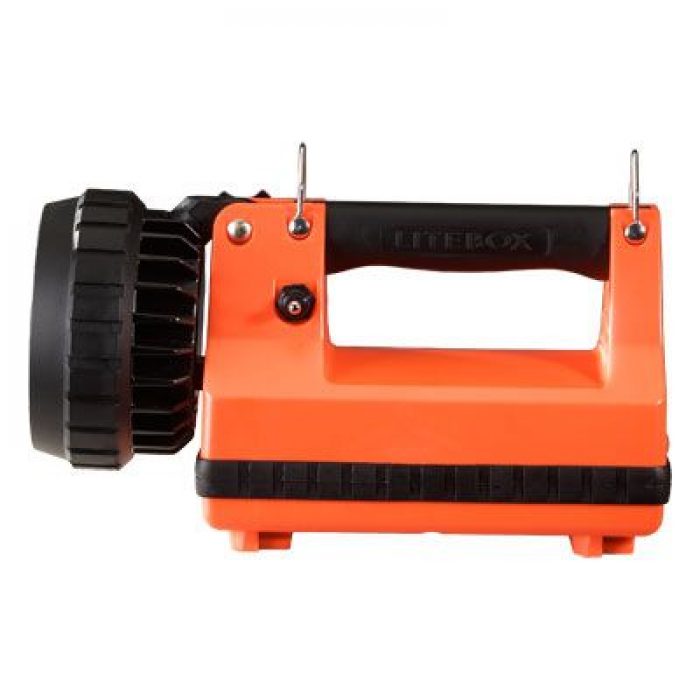 It features a swivel head that makes it easy to inspect ceilings and out-of-the-way places. IPX4 water-resistant. The E-Spot FireBox has two rear blue LEDs so you can be seen from behind. The Streamlight Firebox E-Spot® rechargeable portable lanterns are industrial-duty, featuring power LED technology for high brightness, long runtime and high reliability. 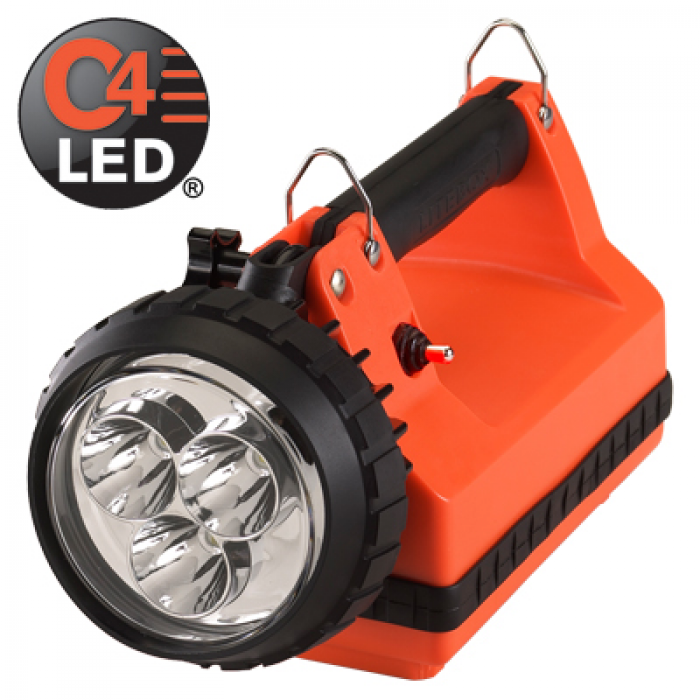 The E-Spot™ is an industrial-duty, rechargeable, portable lantern featuring C4® LED technology for high brightness, long runtime and high reliability. The E-Spot™ uses 3 LEDs and deep dish parabolic reflectors to produce a large spot pattern. Jumper selectable high or low setting to allow selection of more light output or more runtime.